etribution and deterrence are the two primary incentives to ensure strict enforcement of laws. The Supreme Court order on the Ramlila fiasco passed on Thursday, which seems to strike a balance by apportioning blame between two parties involved in the fiasco, has imposed a fine for the dead and the injured and asked the Delhi Police to take appropriate action against errant officers. That is the retribution part, i.e., punishing the guilty. The equally important part, often overlooked, is to learn the larger lessons to prevent such a situation from arising again. The fines imposed on the Delhi Police will come from taxpayers directly or indirectly and, therefore, is an empty deterrent. Therefore, with a government tempted to exercise discretionary powers available to it as per its political convenience, how can the very misuse of such powers be deterred?? This is an area where even the hands of the Supreme Court are tied. This power to pass laws and the exercise to impose reasonable restrictions to the enjoyment of fundamental rights such as freedom of speech and assembly belongs to the legislature. The history of Article 19 of the Constitution of India is instructive in understanding the situation today. Underneath the patriotic fervour at the stroke of the ‘midnight hour’ in 1947, there was chaos and strife, religious riots and princely rebellions. The top echelons thought that the new fragile nation would fragment if not held together by a strong centralised State controlling exercise of individual rights. Instead of empowering the judiciary to evolve contours of such freedoms, the Constituent Assembly gave this power to the legislature to enact “reasonable restrictions” to such freedoms on grounds such as public order, decency or morality and incitement to an offence. Our Constitution chose the preventive path of enumerating restrictions in the same breadth as it allowed freedoms. In addition to an authoritarian Germany, we were one of the rare democratic modern Constitutions giving the power of curtailment of freedoms to the legislature instead of the judiciary. The Constituent Assembly debates point out that ten members expressed serious reservations about the curtailments – some demanding an entire removal, others demanding improvements. Some feared, rather prophetically, that when the authorities would exercise their powers to deny freedoms, one would need a microscope to discover these elusive freedoms in Article 19. Some wondered how those who had fought the British for unfettered enjoyment of these freedoms could now consider the fetters desirable. To be sure, Article 19 had its defendants. The primary argument was that the public representatives freely elected on adult franchise should be trusted for the safe custody of citizens’ rights, particularly in the infancy of a free India. Another argument was that individual freedom was risky in a community where more than 80 percent of the people were sunk in the lowest depths of poverty, illiteracy, communalism and provincialism. A united democratic India was a bold experiment and the onus of changing the amount of restrictions was better placed on the legislature which enjoyed flexibility to amend laws. Was the nature of the chaotic new nation the problem, or was it the gaze of the Assembly? Possibly, the latter, at least in retrospect. However, the problem today is with the intent of our governments given how it has dealt with this fiasco as well as the Anna Hazare arrest last year. 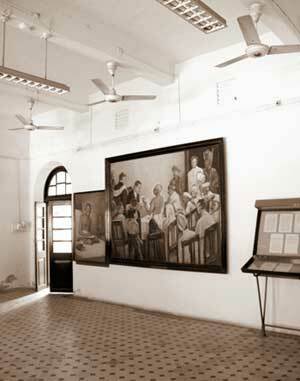 The courtroom where Gandhiji was tried under the law of sedition; a law that has existed till date. 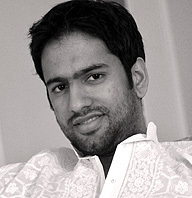 The alarming expediency with which Section 144 of the Criminal Procedure Code was applied to Baba Ramdev and Anna and the perplexing law of sedition – incidentally, a law responsible for the beginnings of the Mahatma as the challenger of the British regime – creates a lot of doubt on the intent of the government. Moreover, these two laws are the British era gifts which continue on our statute book. A significant problem with the practical enjoyment of freedoms is that despite powers available to it, the Supreme Court has very rarely struck down such provisions in our criminal law as oppressive or unjust. Therefore, in an enquiry on a violation of a fundamental freedom today, the Supreme Court rarely goes into the unreasonableness of those laws, but rather decides who violated the freedoms or the restrictions, as the case may be, within the framework of those existing laws. Notwithstanding the rigorous strictness with which Indian courts have dealt with the enjoyment of fundamental freedoms, and it did so on Thursday too, the looming threat of the likely application of criminal laws remains large. Therefore, while courts determine the reasonableness of the “restrictions”, the government, which has time, energy and money – taxpayer’s money – can keep imposing these restrictions and fight endless legal battles entangling those freedom exercisers in the complex maze of criminal law procedures. The process itself becomes, as Lawrence Liang points out, “the bloody punishment”. The Ramlila fiasco has raised several questions on respective blame of Baba Ramdev and the police, the level of the Home Ministry’s involvement in the Delhi police’s actions and the proportionality of force used against sleeping people. The Commissioner of Delhi Police will conduct his inquiry against errant officers who used excess force at the Ramlila grounds. Politicians will battle out respective misuses of discretion. In midst of this chaos, however, a significant question will continue to remain unanswered: how fundamental are our freedoms? 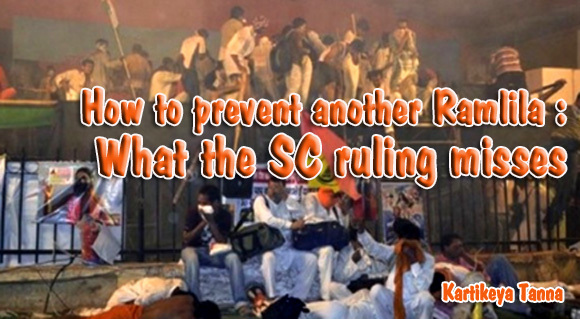 What will prevent a repeat of the Ramlila fiasco? We are a constantly evolving democracy taking little steps towards embracing the full potential of unfettered freedoms. We have so far been asked to travel on straitjacketed by-lanes of freedom. It’s time we are allowed to reach the crossroads of freedoms and responsibilities and exercise the choice of balance. In the sixty-fourth year of our ‘tryst’ with freedom, it’s time those in power reduced the discretions allotted to them. Repealing Section 144 and the law of sedition or, at least, significantly increasing the threshold required to impose them, would be a promising start. This article was published in Firstpost and can be read here.